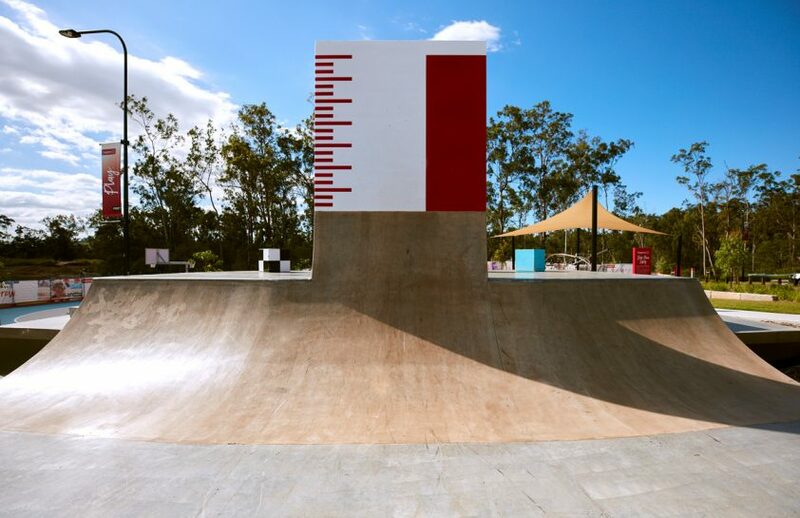 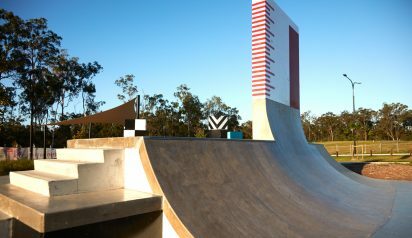 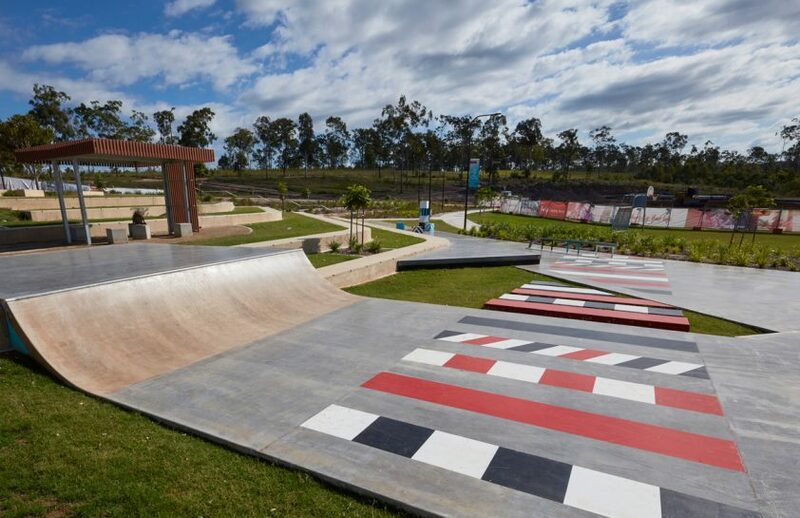 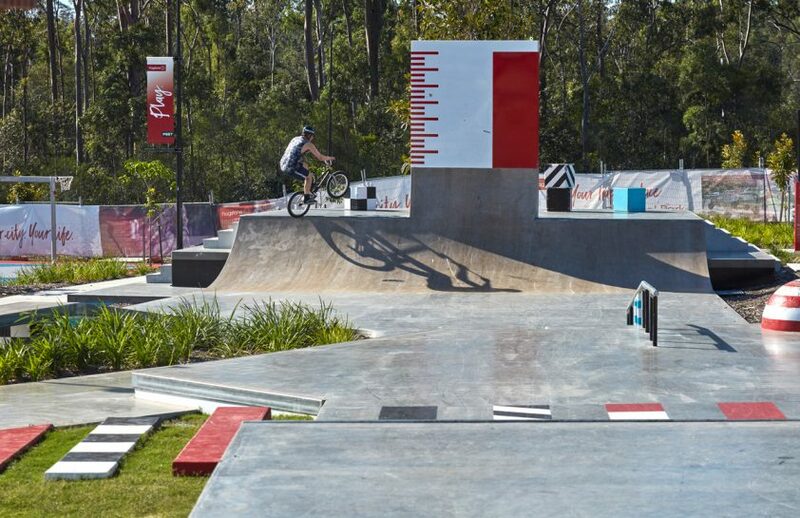 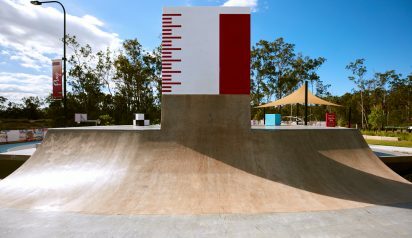 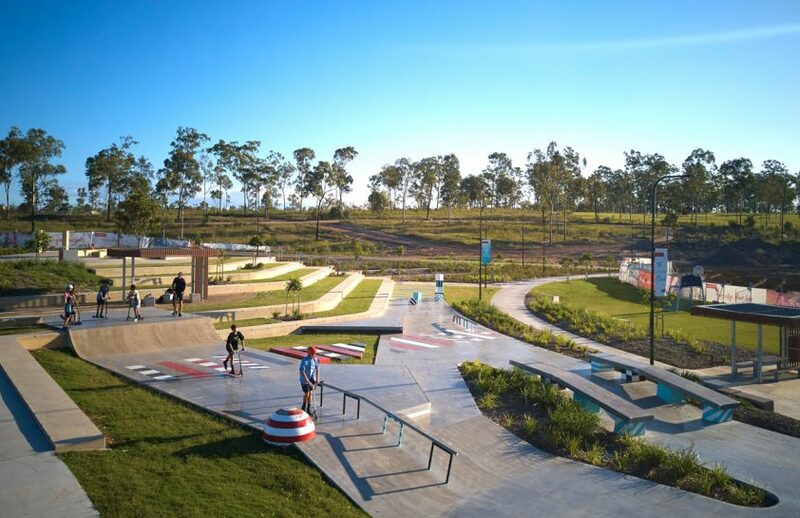 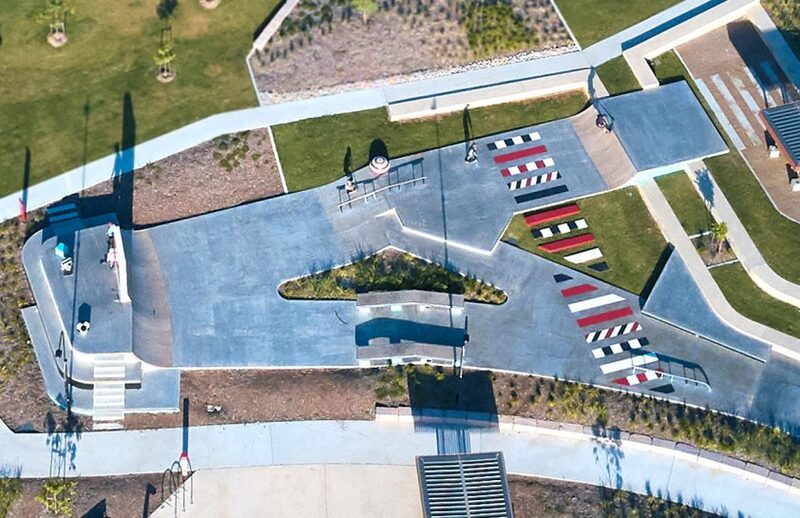 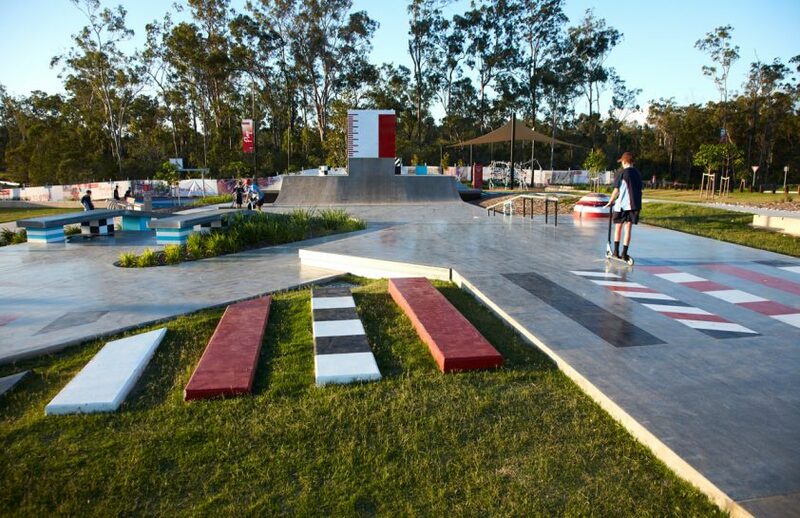 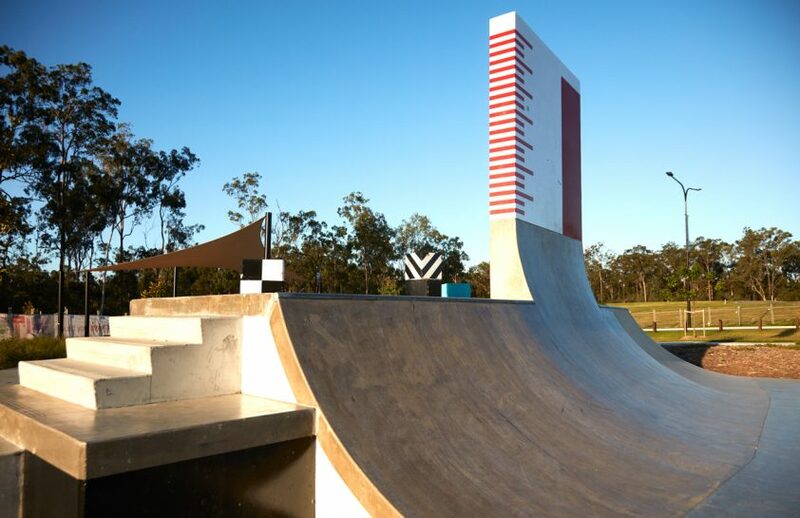 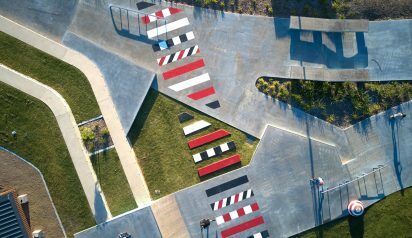 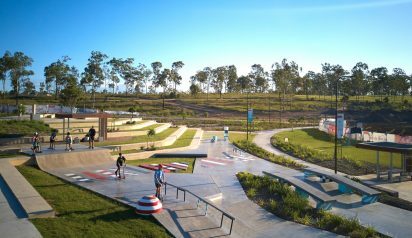 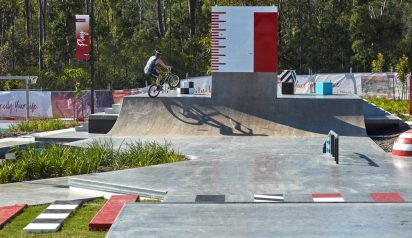 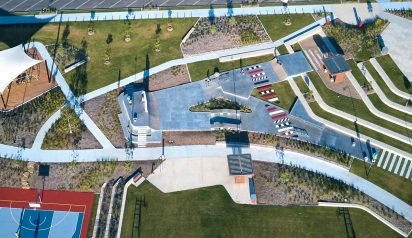 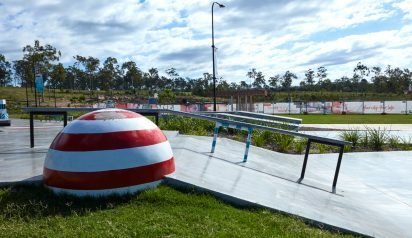 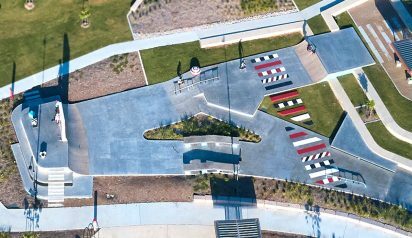 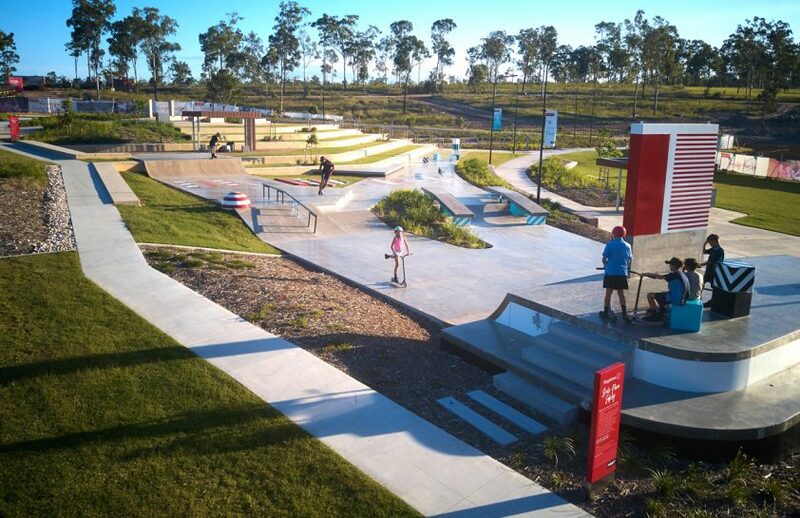 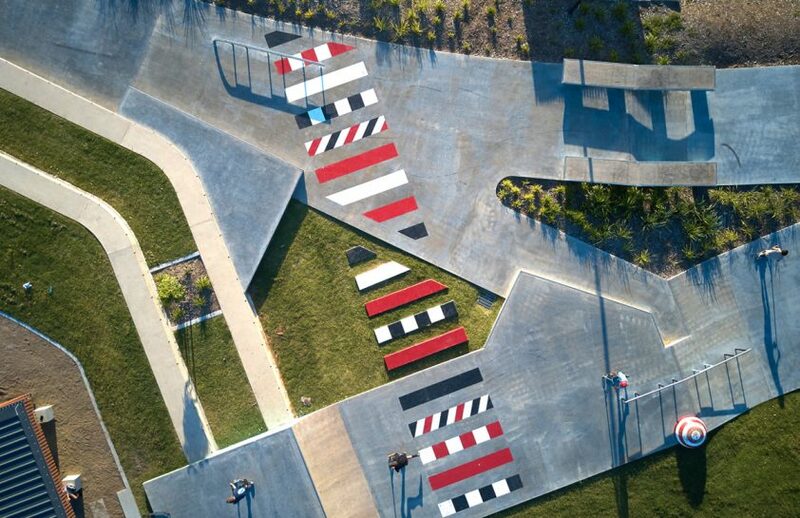 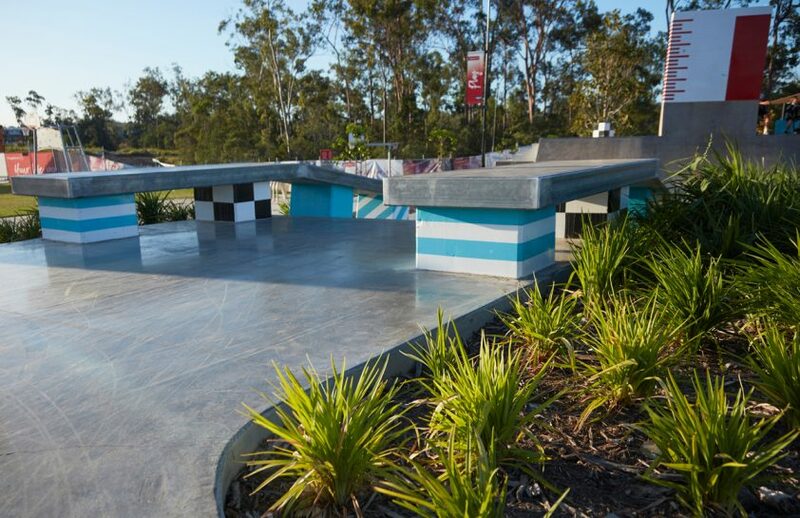 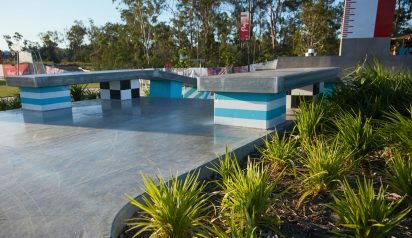 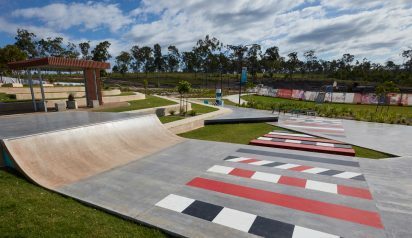 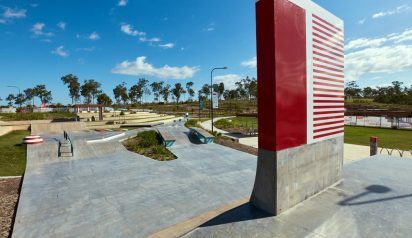 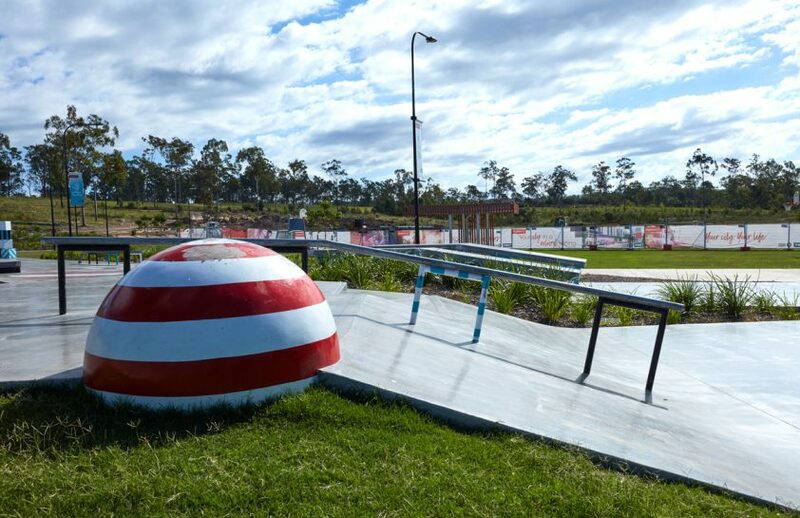 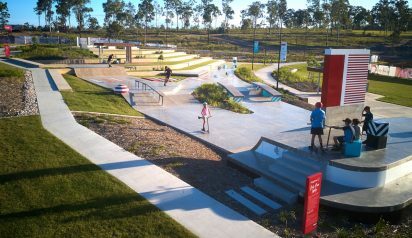 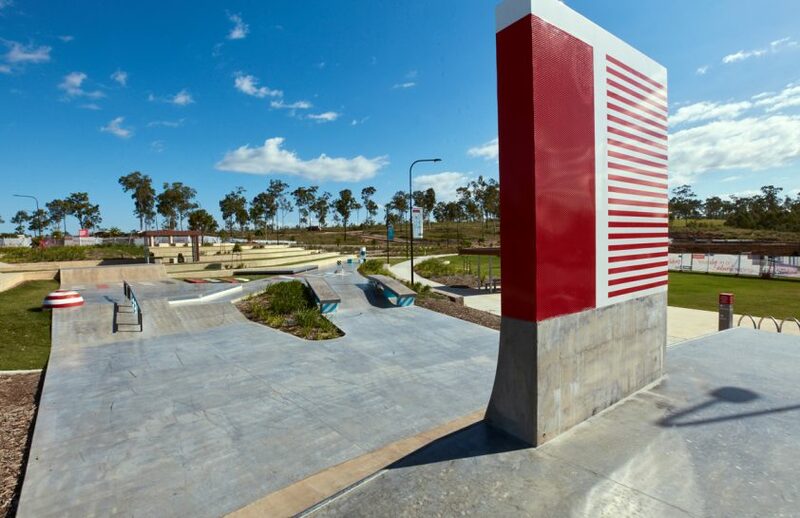 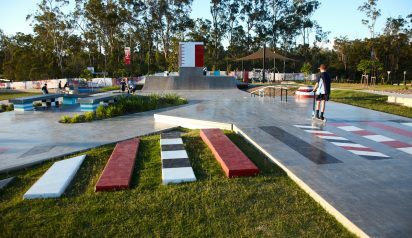 Situated between Brisbane and the Gold Coast, the 480 sq m Flagstone Skate Plaza is designed to cater for a range of abilities, allowing users in the facility to progress by developing their skills from beginner to an advanced level in a safe and creative manner. 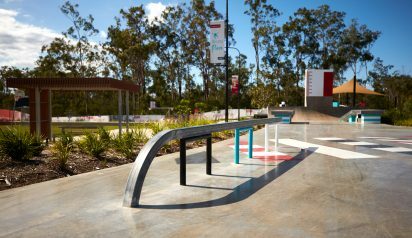 The 900h quarter pipes, flat rail and manual pad address the needs of beginners, hubbas and down rails intermediate level and the feature vert wall and pipe gap appeal to more advanced users. 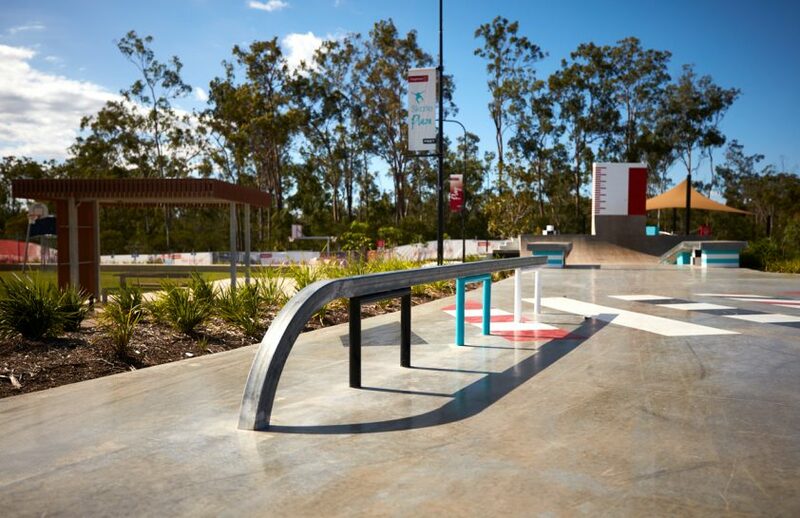 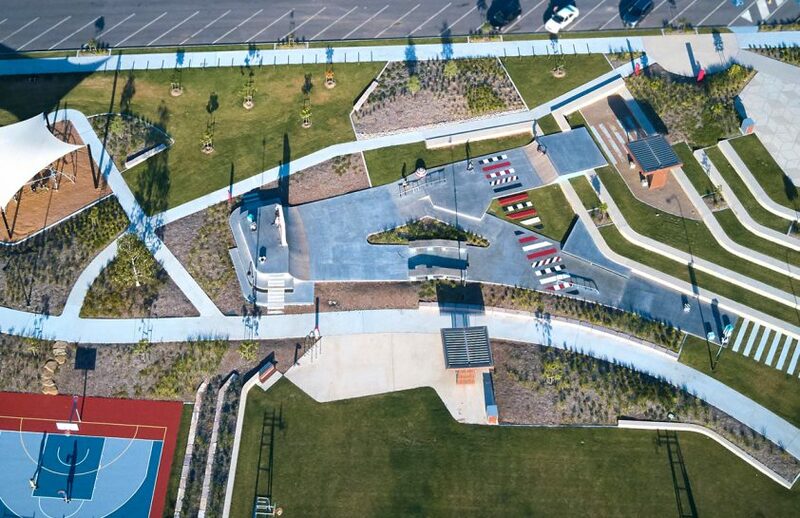 The skate plaza is set to become a social and active hub for the targeted engagement of young people, skaters and the broader community in an integrated and all inclusive context.